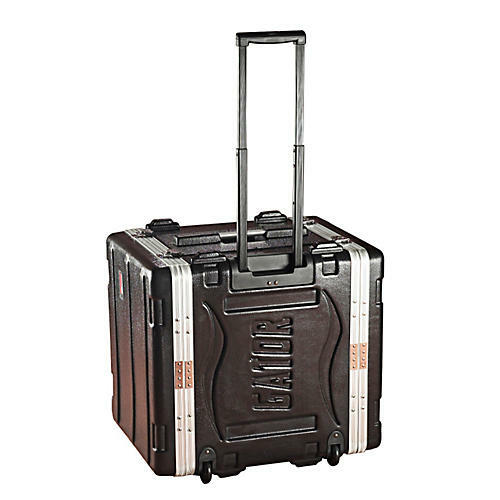 The durable Gator GRR-10L Roller Rack Case is made of lightweight military-grade polyethylene and features a rugged pullout handle and roller blade-style recessed wheels. All lids lock into place with heavy-duty twist latches, and comfortable recessed side handles offer an alternate way to tote your case. Exterior: 20" x 21.5" x 22.75"